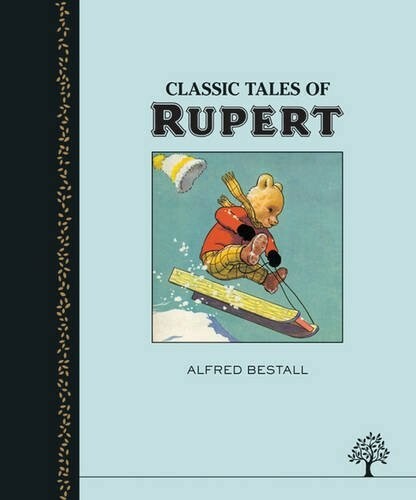 A classic children’s book collection from Rupert the Bear as part of the stunning new Egmont Heritage range. This beautiful book contains two classic Alfred Bestall stories: Rupert & The Mare’s Nest and Rupert & The Lost Cuckoo. “What’s a Mare’s nest?” Rupert asks his father when he reads the words in a book. They don’t exist, says Mr Bear – but Rupert is determined to find one, and his search takes him to many exciting places! The cuckoo is one of the busiest birds in Nutwood Village, and how Rupert misses its cheery voice! After a long search he discovers why is has vanished from its usual home. A great read is forever . . . The Egmont Heritage range represents the very best in children’s literature in beautifully bound editions that a child will cherish. 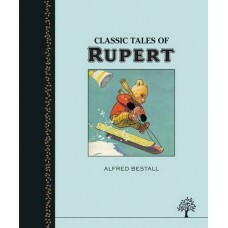 In this stunning gift book package, two of the very best Rupert stories illustrated by Alfred Bestall are featured.